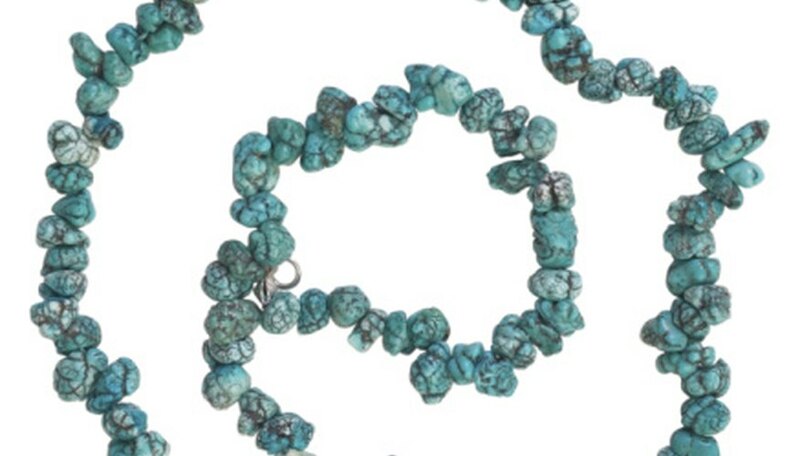 Turquoise, one of the world's rarest opaque gemstones, is also one of the most fragile. 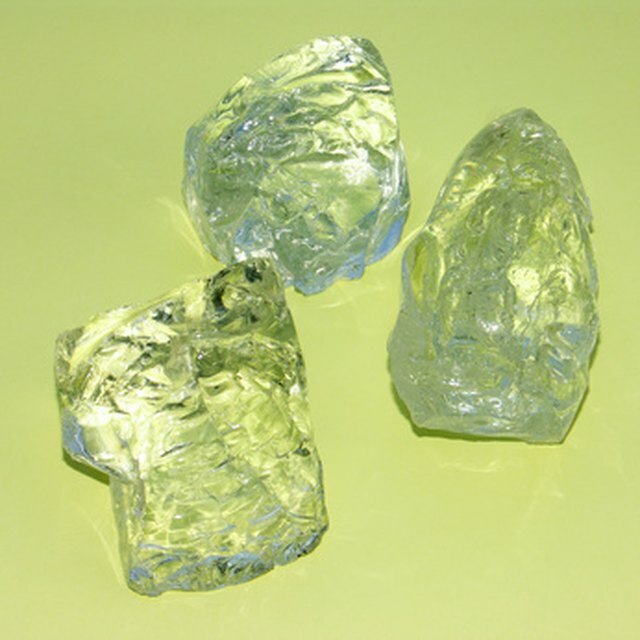 It has a tendency to crack or crumble in its raw state when cut, carved or polished. Only the finest gem-quality stones -- less than 12 percent of all turquoise -- do not require stabilizing. However, lower grades of the stone do require treatment before being worked. This hardens the stone, fills fissures and enhances natural colors. Turquoise is stabilized by soaking it or pressurizing resins or acrylic compounds into the pores of the stone, resulting in affordable, higher quality stones and finished jewelry. Lay several sheets of newspaper on a work surface. Pour 1 pint of acetone into a clean, dry glass jar. Carefully add the complete contents of both the resin and hardener tubes of epoxy glue to the acetone and stir the mixture well using a spoon or whisk. Add the turquoise stones to the jar, cap it tightly and swirl the jar a few times. Dispose of the newspaper and stirring utensils, or clean the utensils for reuse. Store the jar in a cool, dry area for five to seven days, swirling it daily to keep the chemicals well mixed. Remove the stones from the jar using kitchen tongs and let them air dry for a week, preferably in a sunny location. Add only enough turquoise stones so all of them are completely submerged in the stabilizing compound. Do not reuse any kitchen utensils for food preparation if used to prepare the stabilizing compound. McCarty, Sue. "How to Stabilize Raw Turquoise." Sciencing, https://sciencing.com/stabilize-raw-turquoise-8400447.html. 24 April 2017.